LobangHub.com – Page 4 – All about Discount Coupons, Vouchers and Promotions in Malaysia and Singapore. Exclusive deals for OCBC card holders. 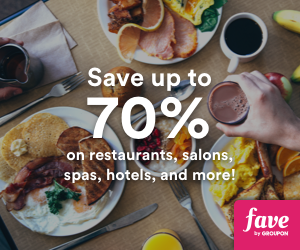 Enjoy 12% off hotels worldwide. Promotion is valid for bookings made from 1 - 31 Mar 2019. Exclusive deals for Maybank cardmembers. Enjoy 8% off hotels in Japan. Promotion is valid for bookings made from 1 - 31 Mar 2019. Get your free upsize when u purchase M size juice at JUICY Sunway Velocity (16 - 17 Mar 2019) and JUICY Sunway Pyramid (18 - 19 Mar 2019) from 12pm - 3pm! It's Frenzy time! Taipei for just S$95 one way all-in, don't miss out! Booking period is from now until 17 Mar 2019. $0 seats are now on sale for Club Jetstar members. Booking period is from now until 17 Mar 2019. Starting 18 Mar 2019, Munch is running a week-long gamified campaign with Gong Cha to give out 1-for-1 Brown Sugar Fresh Milk w/ pearls. Matta Fair is happening now. Enjoy fares from RM119 (all-in one-way) when you travel to Penang, Langkawi, Kuching, Kota Kinabalu and more. It’s time to the make the most out of your benefits as AirAsia BIG Members! Enjoy your 24-hour lead time to book the AirAsia free seats now!